Average Wait Time 10 min. 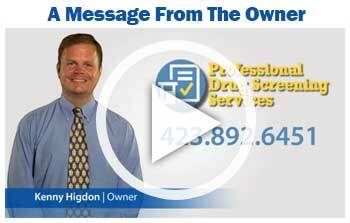 ProDrug Screening isn't just another drug screen company. We offer professional, cost-effective, and convenient nationwide service to keep your business safe and efficient. ProDrug Screening knows how important productivity is to your organization. That's why we offer drug screening tests at our comfortable, conveniently located Chattanooga TN facility and through our on-site testing option. Our goal is to take as little time as possible from your employees' work day, so we offer short wait times and flexible scheduling. All results are confidential and typically available within 24-48 hours. We take care of every detail and every step of the drug testing process, so you can spend more time on what you do best, running a great business. We offer a wide range of drug and alcohol tests that include urine & hair testing, and BAT testing.